In any occasion that users are trying to get a highly clear cross line generation under night vision illumination work fields, it is just no joking work for users to use a simple manual dot projecting device or other visible laser devices. In process of advanced laser tech applied 808nm infrared cross laser alignment, after proper work with night vision device, such as a CCD camera, black and white camera or infrared laser system, this accessory part will make great job for highly clear and accurate IR cross line generation in distance effectively. Being made with excellent quality import 808nm infrared laser diode, available with wide range output power within 5mW to 400mW, infrared cross laser alignment is just keeping work with high intensity and high photoelectric ability of up to 80%. Once it is workable for real cross lie aligning work, under operation with infrared laser system, it will easily generating the most intense infrared laser light and highly clear infrared cross line as long as 100 meters to 1000 meters in use. After the adoption of high power infrared laser module up to 200mW to 400mW, this infrared cross line laser will make sure of highly clear cross line generation more than 50 meters. Owing to its invisible infrared laser beam emission from beam aperture, this cross line laser module is designed with 10cm focus distance. Users can make communication with laser tech engineer to get freely designed focus distance. After quite easy screw of laser beam aperture, and proper adjustment of infrared cross line thickness, this cross line laser will easily make sure of quite satisfied measuring result in distance. In order to get highly clear cross line generation in continuous work, 808nm infrared cross laser alignment is being made with the most qualified glass coated lens. In multiple night vision cross line aligning work fields, according to easy select of glass lens degree of 10, 15 and 110 degree, high intensity beam emitted infrared cross laser alignment tool obtains different cross line length and fulfills the clearest IR cross line generation for military targeting, intelligence system, laser therapy etc. It is necessary for users to learn enough of cross line length, thickness and work distance from beam aperture. When laser tech engineer is recommending users correct output power and glass lens degree, it is easily obtaining the most accurate IR cross line source easily. In any occasion where users are paying high attention to laser safety measure and remember to wear 808nm infrared laser safety goggles, this alignment laser makes sure of the clearest cross line generation perfectly. When users are trying to make dot generation under night vision illumination work fields, until the time the real dot aligning work is processed with a long wavelength 980nm infrared laser diode module, under proper equipment with night vision device, such as a CCD camera, black and white camera or infrared laser camera etc, it will always make sure of highly clear and accurate IR laser dot alignment in distance effectively. When this IR dot aligning device is being used as an accessory part, after quite easy installation on correct position, it is getting reduced relying on professional skills, and then achieving highly clear and accurate dot generation effectively. Designed with long wavelength of 980nm infrared laser diode, this infrared laser diode module is generating invisible IR laser beam to human eyes. It is not simply used for temporarily dot generation, but always workable with highly accurate dot generation result for special work fields, such as military targeting, surveillance, intelligence system and laser medical treatment device etc. It is not able to be used separately, but always used as an accessory part of night vision illuminated device, and then easily obtaining super clear dot generation result on any vertical or horizontal surface. Comparing with formal visible laser devices, 980nm infrared laser diode module is obtaining even higher power up 500mW, which is able to work with even longer distance dot generation. It is keeping super high photoelectric ability up to 80%. 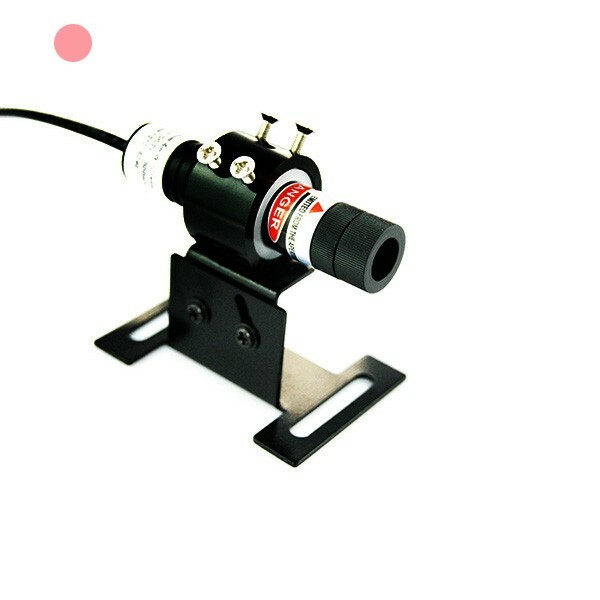 When dot projection is processed at long distance of more than 50 meters, this infrared laser alignment tool should be selected with higher power up to 200mW to 500mW, which will obtain highly clear IR dot projection as long as 100 meters to 1000 meters. In order to get quite accurate dot generation constantly, 980nm infrared laser diode module gets the most important design part of APC, ACC driving circuit board. Even though there are super powerful and intense thermal energy produced from beam aperture, however, this alignment laser still gets intelligent feedback of electric current impacting, and then achieving highly stable and reliable dot projection on continuous work. Whatever kind of output power it is selected, it is always generating extremely powerful thermal energy and IR laser light not visible to human eyes. Users should just wear 980nm wavelength preventing laser safety glasses and avoid eye exposure, and then achieving highly secured and free dot alignment constantly. When users are trying to make dot measurement under night vision illumination work fields, it should be quite frustrated work before selecting a quite professional dot aligning tool as expected. On basis of advanced 808nm infrared laser diode tech, under special working with night vision device, such as a CCD camera, black and white camera or infrared laser camera, it is just becoming a quite advanced dot aligning device of 808nm infrared laser diode module. According to highly intense infrared laser beam emission and wide range output power within 100mW to 400mW, this infrared laser dot alignment is always workable with highly clear and accurate IR dot generation for multiple night illumination fields effectively. The operation of 808nm infrared laser diode module is not the same as any other visible laser devices, which is generating invisible IR laser light from beam aperture part. When it is employing 808nm infrared laser diode as its beam emitting source, within wide range output power of 5mW to 400mW, it is generating super intense and powerful infrared laser light at quite long distance, and then generating highly accurate and precise IR dot generation at extremely long distance within 100 meters to 1000 meters efficiently. When real dot alignment is processed more than 50 meters, this infrared laser should be selected output power up 200mW. Comparing with any visible laser devices, 808nm infrared laser diode module is obtaining extremely high photoelectric ability up to 80%. On basis of the adoption of quite high quality glass coated lens, in process of continuous infrared dot aligning work, it is still keeping quite high beam intensity and quite clear IR laser dot generation on any targeting surface. Before this IR laser module device is available on the market, it is always passing through quite strict laser beam stability tests, including up to 24 hours constant aging preventing test, high and low temperature changing test and alternative high and low temperature changing test, this alignment laser is always workable with excellent laser light cycling use and extremely long serving lifetime in continuous work. In multiple night vision dot aligning work, 808nm infrared laser diode module gets the most compact structure design with aircraft used aluminum alloy housing and copper material made laser diode core part, which is just workable with super stable performance under those of harsh working environments, including mechanical shocking, calibration or moving etc. With the assistance of a laser alignment mounting bracket, including those of quite hard reaching places, noncontact infrared alignment laser dot projecting work is allowing the lowest time consumption, and then achieving quite clear and accurate dot positioning result easily. In occasion that users are wearing 808nm infrared laser safety goggles and avoiding eye exposure to IR laser radiation and reflection, this IR laser would just make sure of highly secured to alignment perfectly. In various kinds of night vision cross line measuring work fields, it is not realistic for users to get accurate enough cross line alignment with formally used laser devices. On contrary, on basis of quite long wavelength of 808nm infrared laser diode, and special equipment under night vision device, 808nm infrared cross laser alignment is just generating quite clear and accurate IR vertical and horizontal laser lines on all desired working surfaces effectively. According to proper selection of output power and glass coated lens degree, this cross line laser module is just effective enough to gain the clearest cross line generation for laser medical treatment device, military targeting, surveillance or others etc. In process of night vision accurate cross line alignment work, high power 808nm infrared cross laser alignment is not only used for quite long distance cross line generation work, but would have to maintain its extremely stable performance in long term use. 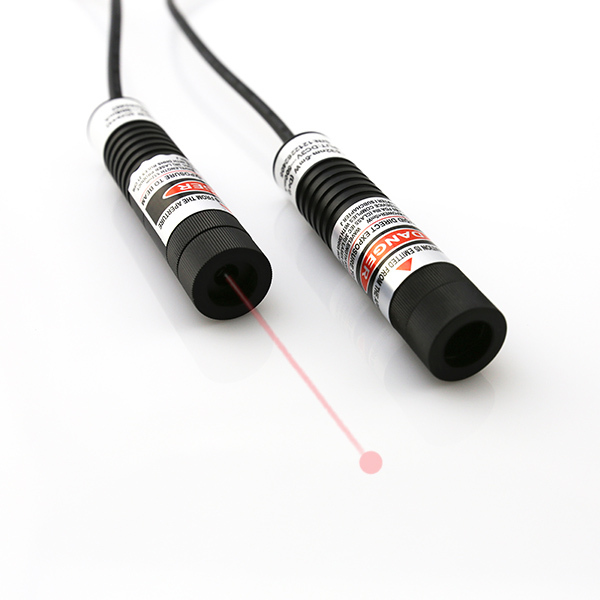 This cross line laser module is just employing import 808nm infrared laser diode, once it is being designed as an accessory part of this laser device, it is making sure of improving laser beam stability of at least 40% than formal laser device. Under condition that it is operated by skilled users or professionals, under proper operation and adjustment of cross line thickness and targeting direction, this infrared laser module would make quite easy and accurate cross line generation in long term use. When cross line is pointed on different working surface, this 808nm infrared cross laser alignment is required to generate different dimension cross line source in distance. According to the design with 10, 15 and 110 degree optic lens degree, it is easily obtaining different cross line dimension in distance. 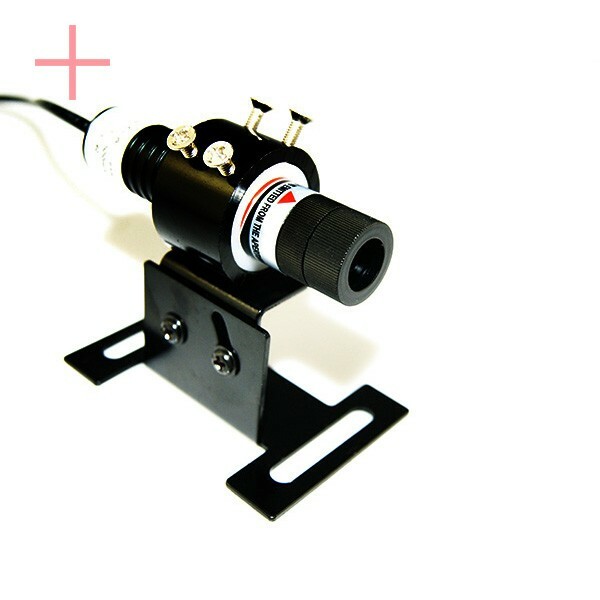 This cross line laser module is not adjustable focus, however, users can still make quite easy screw of laser beam aperture, thus getting quite satisfied cross line generation as expected. According to the design with 26mm diameter tube diameter design, no matter what kind of working surfaces, this 808nm infrared cross laser alignment is always getting quite convenient installation with maximum distance of 3 meters, and then achieving highly clear two perpendicular lines with accurate 90 degrees. The genuine cross line alignment is also able to be used with the assistance of a laser alignment mounting bracket, and then getting the most satisfied cross line generation in distance. Under condition that users are wearing proper 808nm infrared laser safety goggles and avoid eye exposure to powerful IR laser light, this high intensity beam infrared laser module would always get no danger and high speed alignment perfectly. Have you ever tried to work with clear dot alignment under night vision working occasion? If not, you would never know how it is special and wonderful to make measurement with the assistance of a 808nm infrared laser diode module. 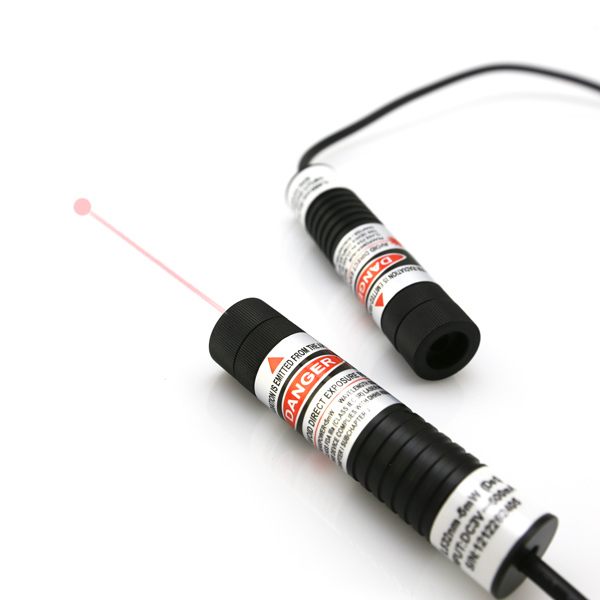 Not the same as any simple dot targeting tool, such as sticker, laser pointer or other visible laser module device, this infrared laser dot alignment tool is just workable with other night vision device, converting high intensity and invisible infrared laser beam into a clearly visible infrared laser dot on desired working surface. Once this infrared laser alignment is getting correct selection of output power and proper adjustment of laser beam focus, it is just the best and the most competitive price dot aligning tool. The generating beam of 808nm infrared dot laser alignment is different from the formally used visible laser device. it is getting the use of import 808nm infrared laser diode, which is getting much longer wavelength than visible laser device, however, it is generating totally invisible infrared laser beam and infrared laser beam from beam aperture part. As a result, this infrared laser module is just not able to be used separately, but working together with infrared laser camera, CCD camera and black and white camera etc. When it is workable under night vision, it is always providing quite nice infrared laser dot targeting for military targeting, shooting, hunting gun, laser medical treatment device, and surveillance etc. Comparing with those of visible laser devices, 808nm infrared dot laser alignment is getting much higher laser beam transmittance and photoelectric ability, thus achieving even clear and visible infrared laser dot targeting at even longer work distance. When it is getting the use of wide range output power from 5mW to 400mW, it is not simply used for quite close distance dot alignment, but also workable for quite long distance of 100 meters to 1000 meters distance. This alignment laser is adopting quite small size tube diameter of 16mm, no matter what kind of targeting surface, it is very easy to carry, install and adjust, and then obtaining quite clear infrared dot targeting in distance. No matter what kind of working surface, the real operation of 808n infrared dot laser alignment is not affected by work distance, height, corner or other hard reaching places etc. It is easily installed on those of devices with the assistance of laser alignment mounting bracket, and then making sure of the lowest manual labor force input and time consumption for the whole processing of infrared dot aligning work. Even though you are only using a quite low power infrared laser module, however, it is still dangerous for users to make eye exposure to powerful infrared laser light. Once users are remembering to take safety measure and wearing laser safety goggles, infrared laser module gets the best dot alignment perfectly.